Sitting near the sparkling beach of Levante, Sol Pelícanos-Ocas Resort has something for everyone: lagoon-style pools, play area for your kids, all day buffet, family rooms, fabulous evening shows, and endless activities, water sports and entertainment. The resort features relaxation by one of the three pools or in the bubbling jacuzzis located around the resort. 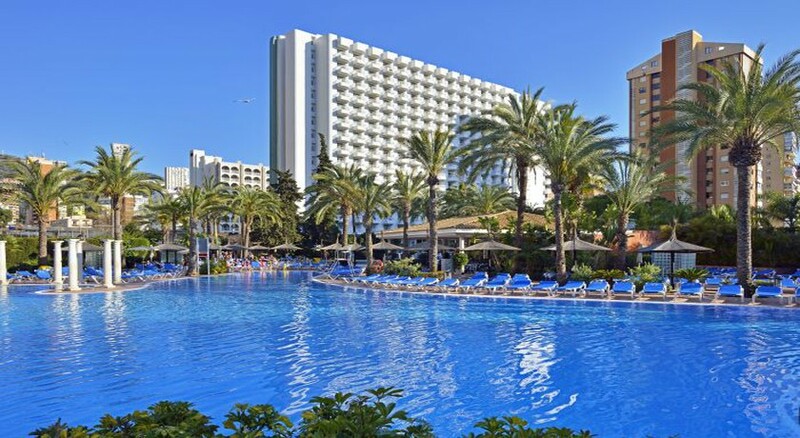 If you want to spend big family holidays in Benidorm, this stunning resort ticks all the boxes, with fabulous evening shows inspired by Broadway musicals, parties in the lagoon-style pool, fun activities for kids, two international buffet restaurants, lively bars, and comfortable rooms equipped with all the facilities you need to enjoy your stay in Benidorm. 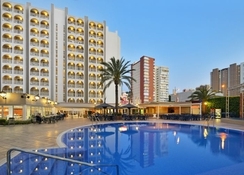 The nearest airport to the hotel is Alicante Airport (48.1 km). Sol Pelícanos Ocas resort is located in the heart of New Benidorm with interesting shops‚ bars and restaurants all around. The resort is 300m away from the beautiful Levante Beach. This family-friendly resort is a perfect choice for travel all year round and is a convenient two kilometres from the city centre. The nearest airport is Alicante Airport, 90 minutes (59 km) away. The resort features two buffet restaurant open for breakfast, lunch and dinner. There's also an Italian corner with its pizza and pasta dishes and there are themed evenings during the summer months. Located by the pool, the Snack Bar serves interesting cocktails, shakes and a few mocktails along with light meals and snacks. The Ocas Pool Bar is another destination to enjoy drinks, infusions and ice cream during day time. In addition, the Caribbean Bar serves an array of cocktails and mocktails during day time, whereas, the Lobby Bar is best serves various types of alcoholic drinks all day long. There is a hotel-run kids' club, perfect for your kids (5 to 12 years), with activities like arts and crafts, sports games and fun shows. Kids can enjoy the morning session for free, while there's a little extra charge for the afternoon show. And, don’t worry for your kids below 5 years as you can come along with them, too. And for the grown-ups, there are various nightly entertainment organised every day including Professional shows and live music shows. Moreover, some nights are dedicated to musicals like Mamma Mia and The Lion King. The resort also boasts its king-size lagoon pool, huge palm-fringed sun terraces and colourful children’s pools, meaning you will enjoy splash-tastic summers. Levante Beach is less than a five-minute walk away. It’s a supersized stretch of sand, sun loungers and watersport activities. On top, you can plan a family visit to the Fun-filled Flintstones Adventure Park. Amazing place to stay. Staff very accommodating. Defo recommend. 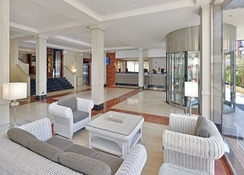 Excellent hotel, well located, good food and friendly staff.